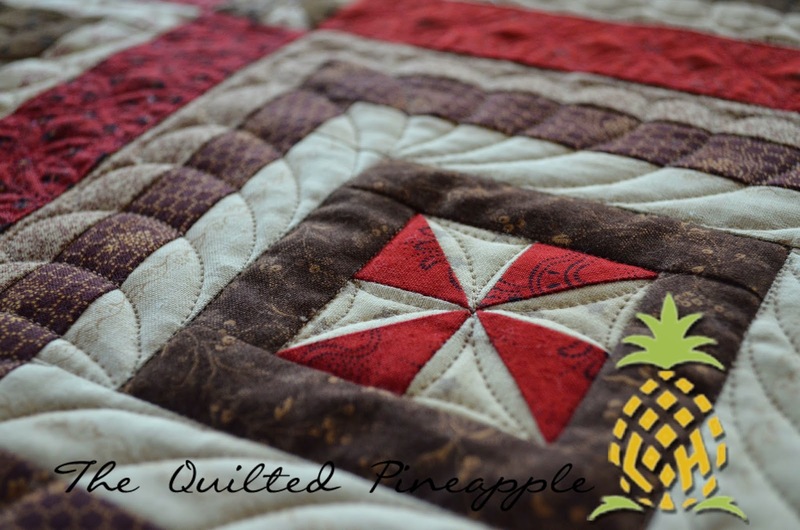 Riding the storm out, perfect post title and the name of the quilt I am about to share. 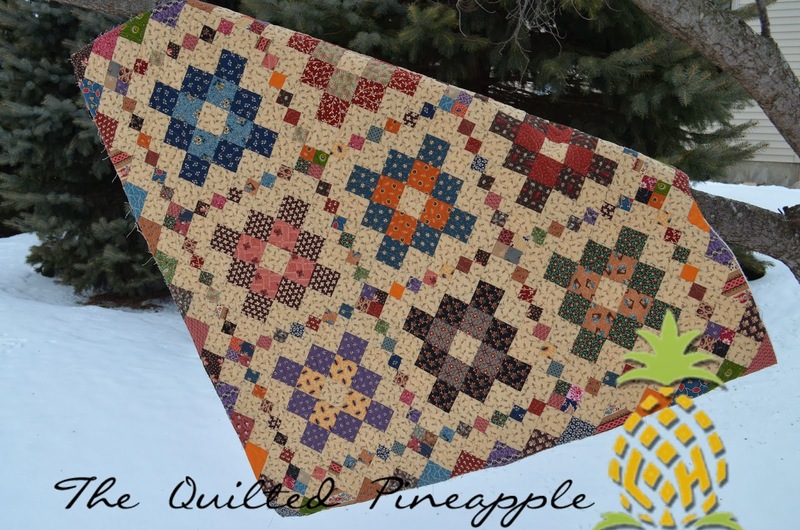 I have been quilting up a storm the past 3 months...through all the storms...hopefully...finally sunshine is around the corner :-) Riding the Storm Out is a gorgeous new design from Lisa Bongean of Primitive Gatherings. 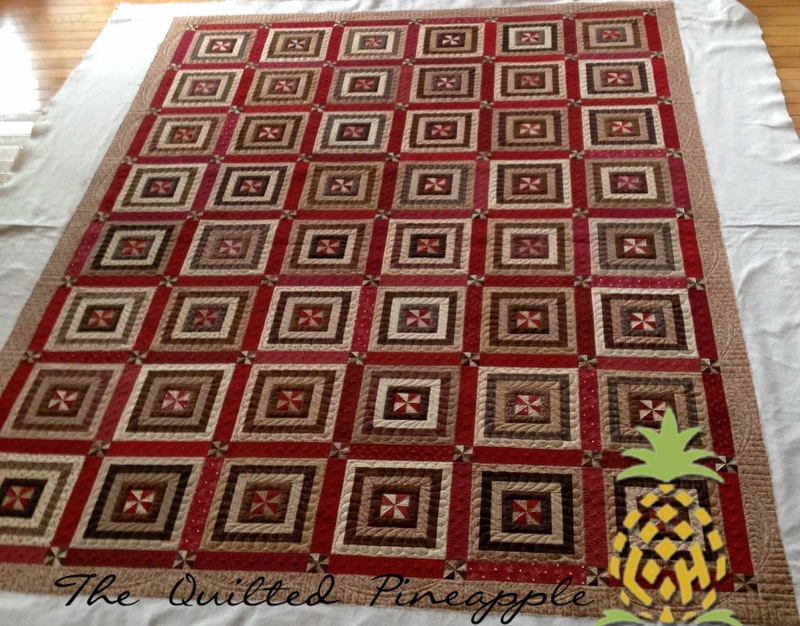 The kit and pattern are available if you click the link here. 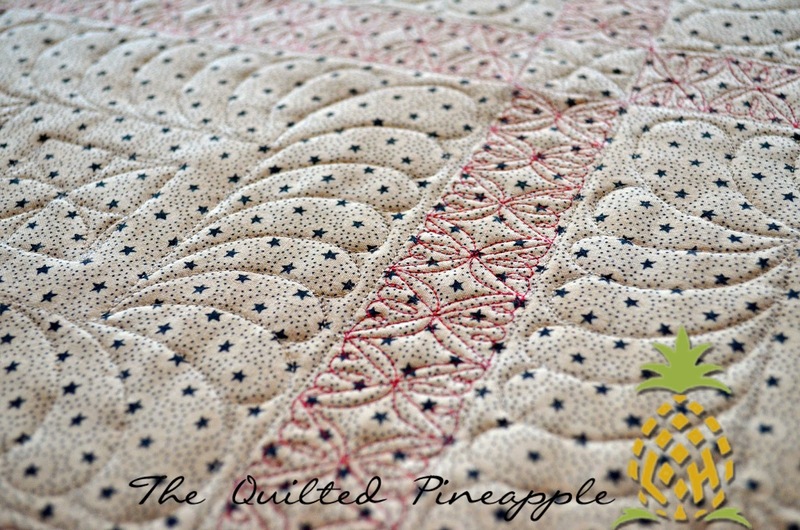 Lisa blogged about the quilt and all the new goodies they have here. 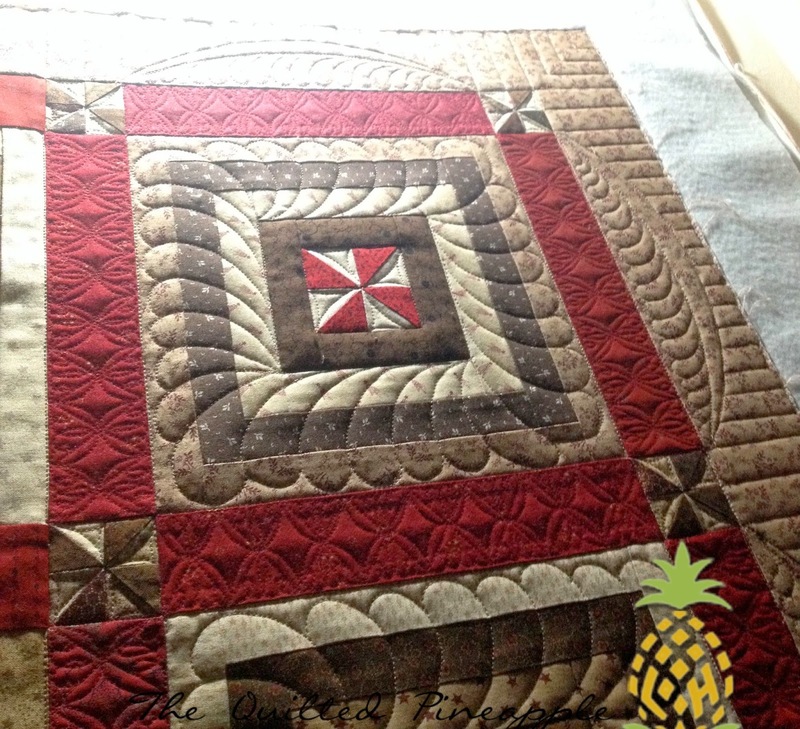 Using the inner square as a guide, I quilted a wreath around it. Makes the blocks appear a bit larger than they actually are. 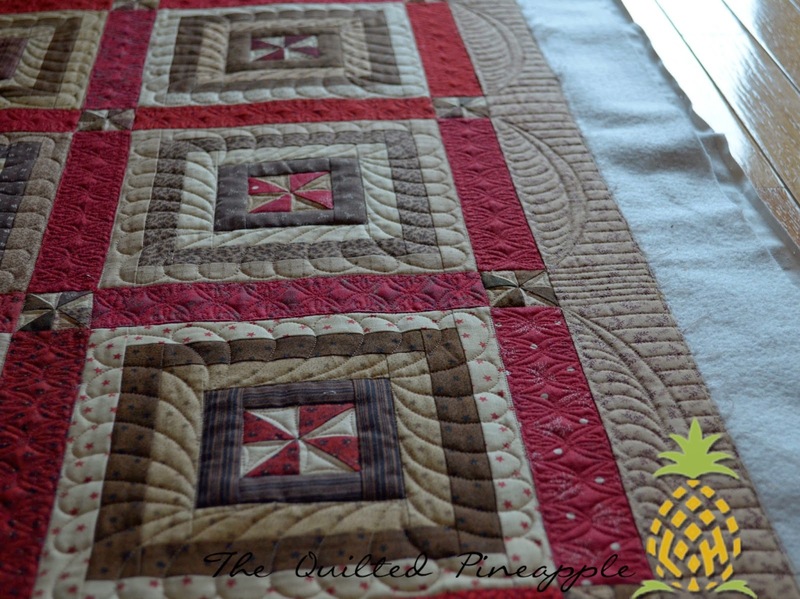 The red sashing has more detail quilting, so the blocks stand out and create "a lace edge" around each block. The outer border is on the narrow side. 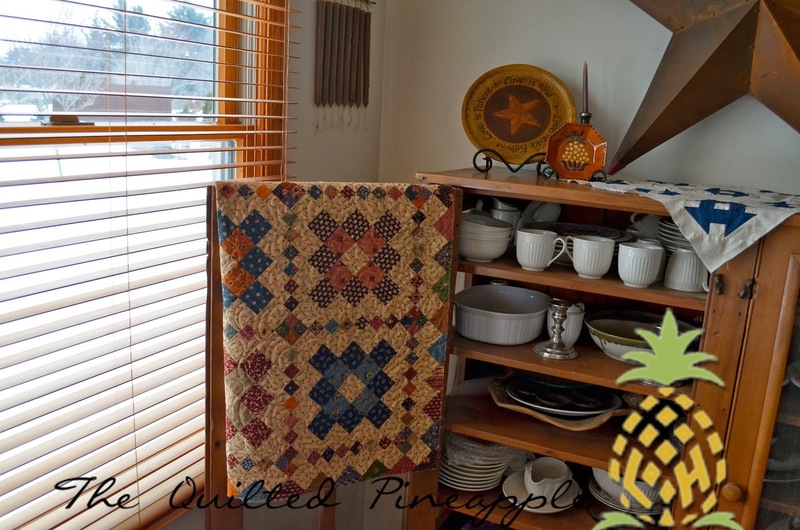 I wanted to create a design that framed the quilt and didn't get "lost." I love how this turned out! 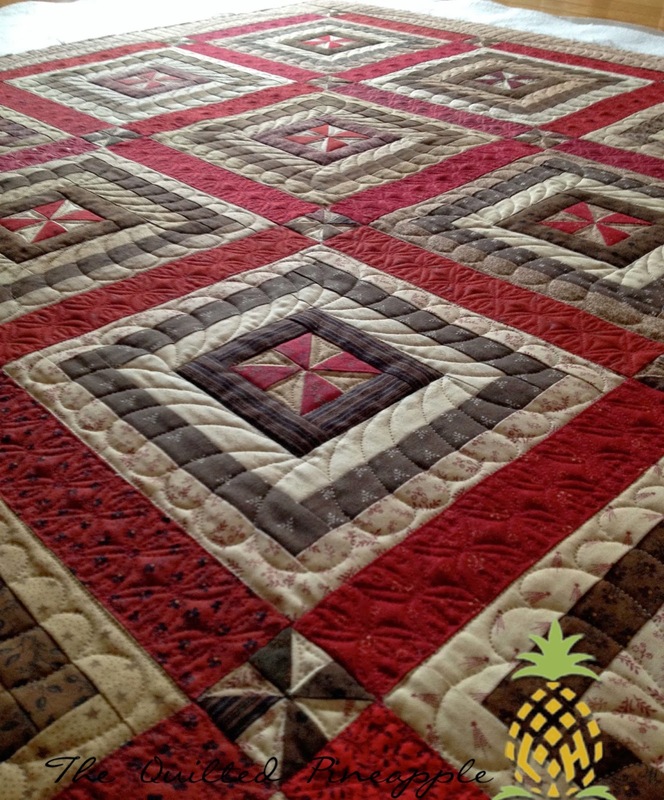 All quilting is freehand. Threads are So Fine from Superior Threads. 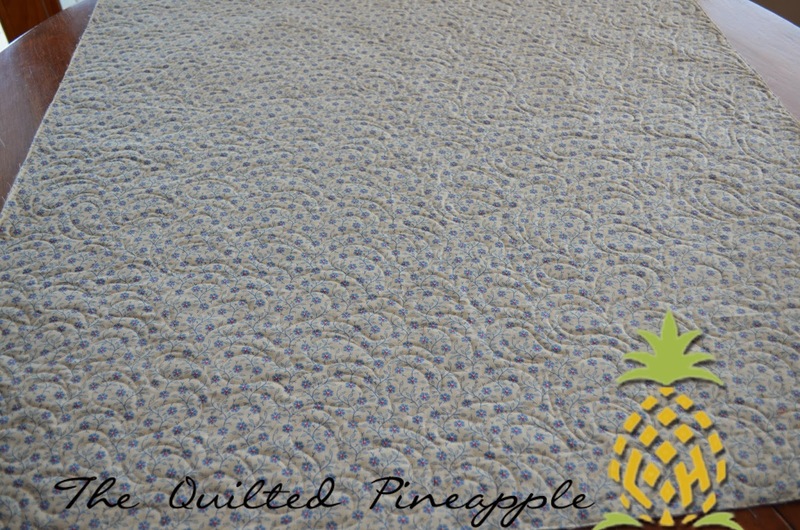 Batting is Dream Blend from Quilter's Dream Batting. The red thread looks cool! Fingers crossed spring is around the corner!! Yahoo! March 1st...means I am that much closer to summer! Although, Winter still has its death grip on us. More snow today. Not sure if the girls have had a full week of school since December!! The good news is the snow still makes for a wonderful backdrop for photos! 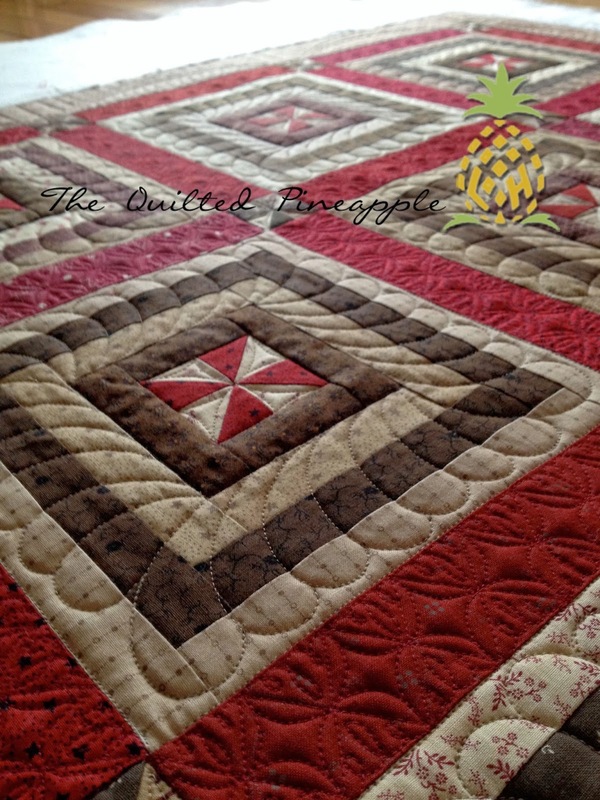 It is quilted, but not yet bound. Soon though. 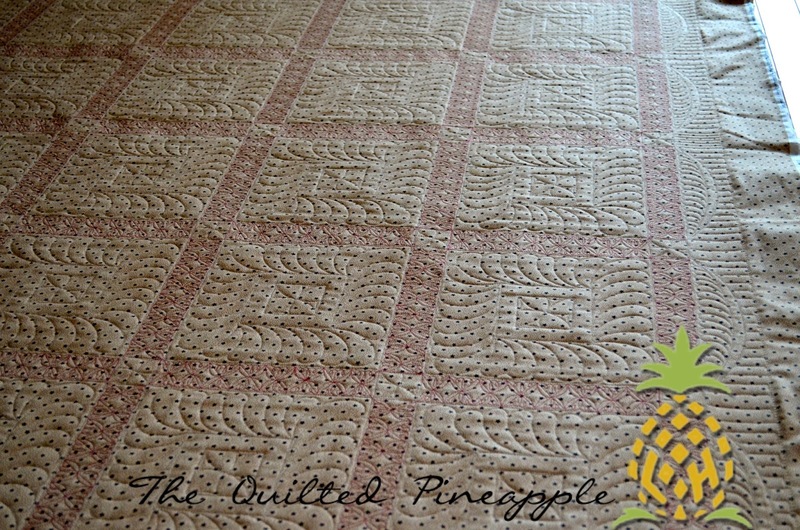 Clover Schnibbles is by Carrie Nelson of Miss Rosie's Quilt Co. available here. 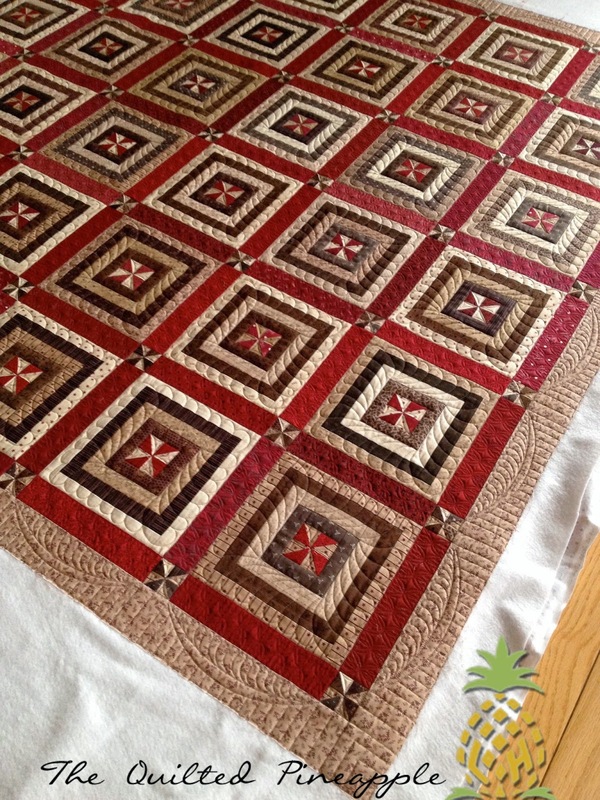 I started this last fall, but just recently finished piecing and quilting it. Fabric is all reproductions from my stash. 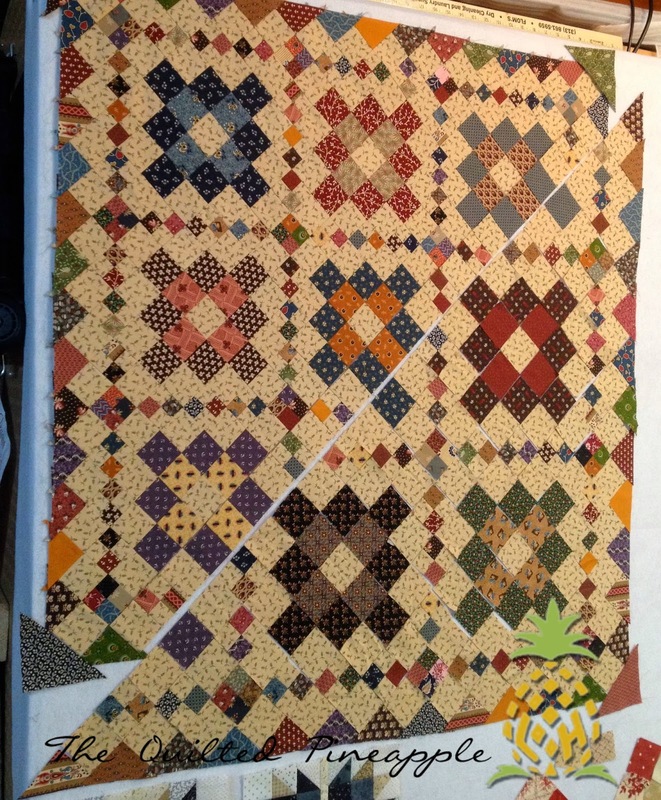 All scraps except for the background. :-) I also added some solid cheddar. 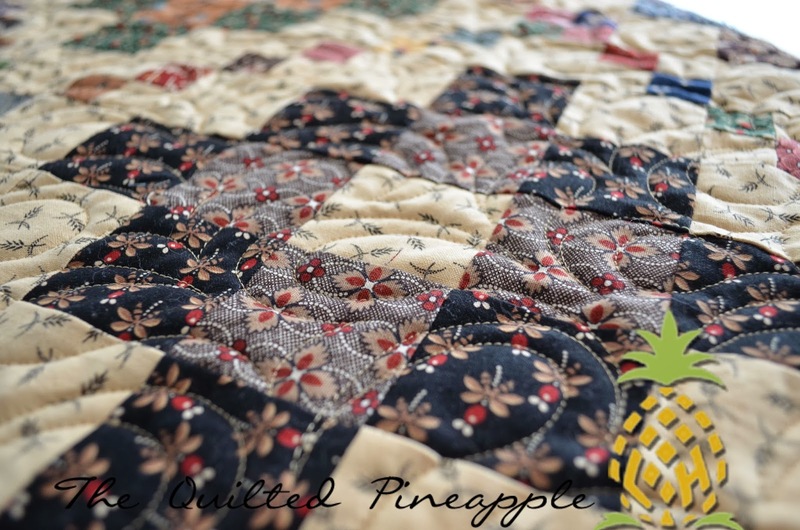 I love the little twinkle it adds to antique quilts when I see it used there, so I decided to add it to my quilt. 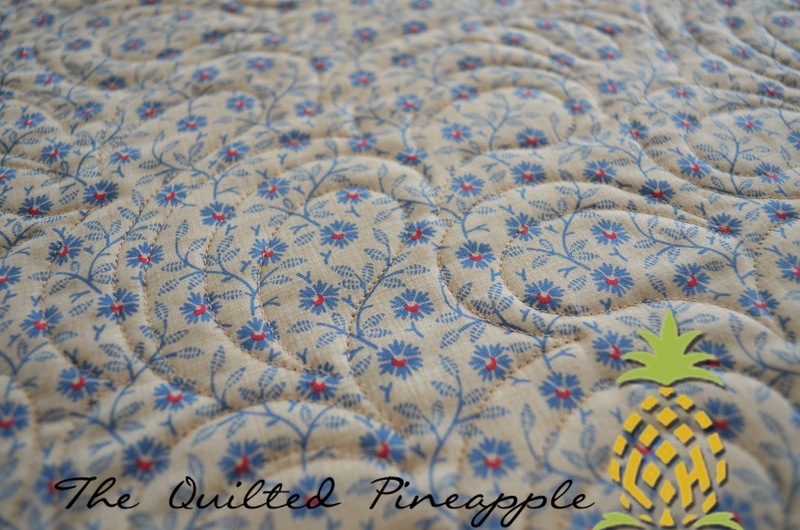 Quilting is all freehand...allover paisley feather. Thread is So Fine by Superior. The batting is a hodge podge of scraps. I love each block! Could not pick a favorite if I tried. 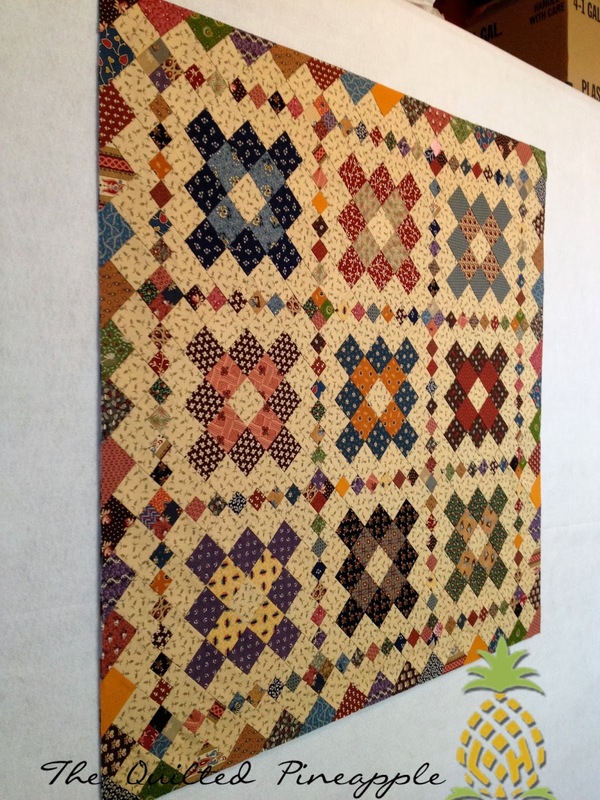 All pieced before quilting hanging on my new, AWESOME design wall thanks to my hubby! 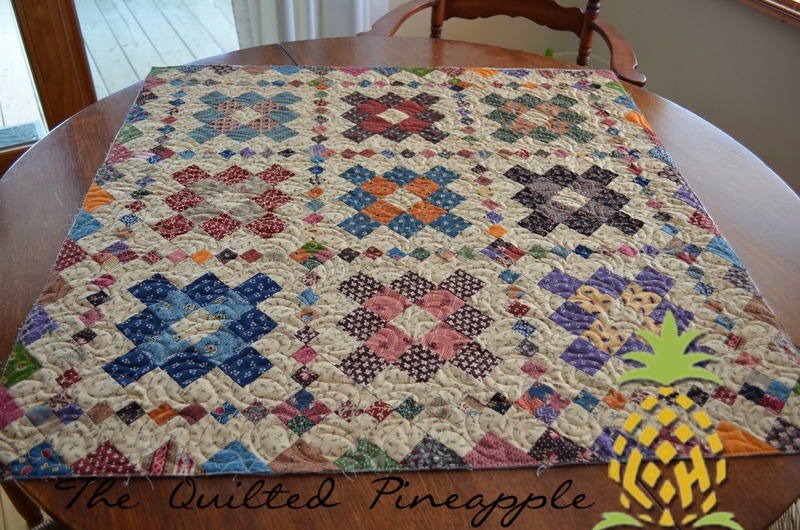 Remember I said I started this quilt last fall?? 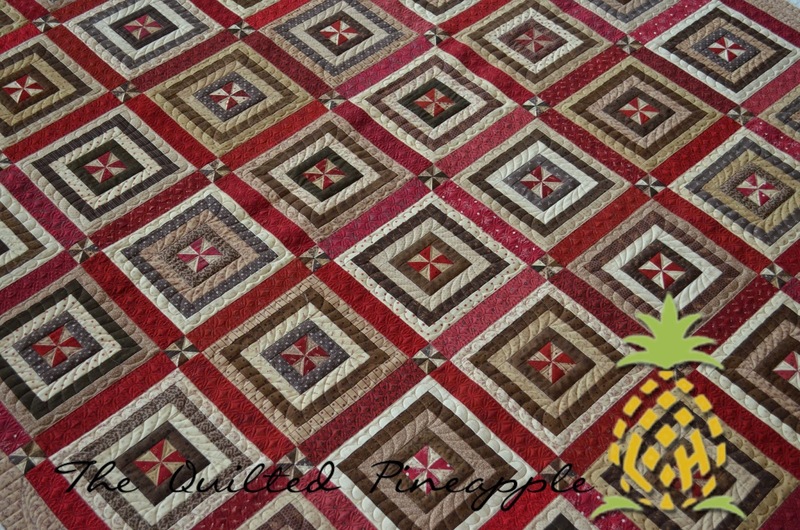 I had it all laid out on one of those Fons and Porter design walls on the floor. I never found a spot to hang it on a wall, so I would just leave it on the floor. 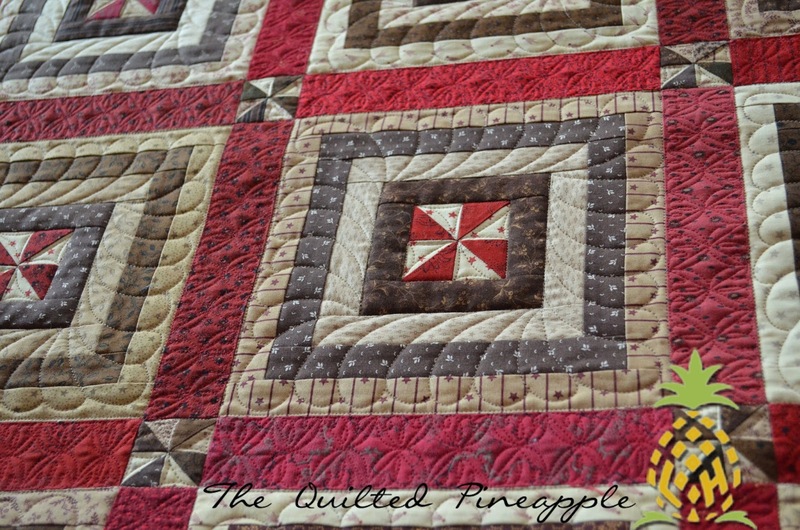 Not the best way to have it, especially with this quilt. 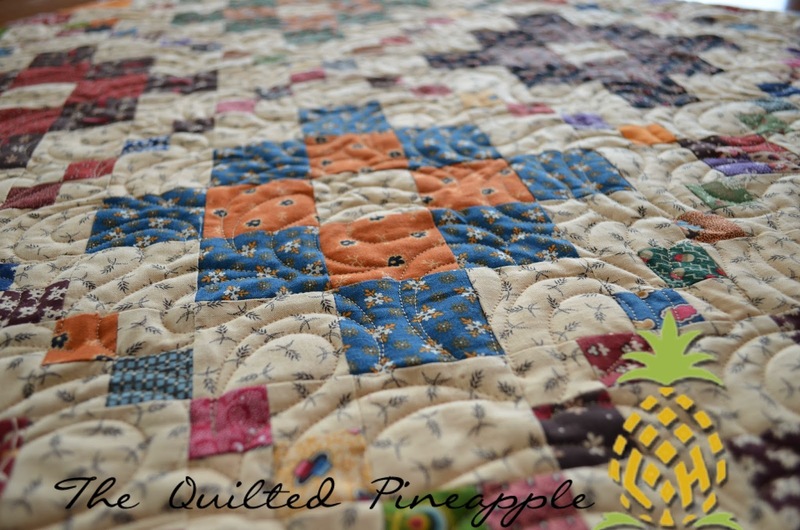 There is like 5 million little pieces to this quilt! Well, maybe like 4 million and some change. 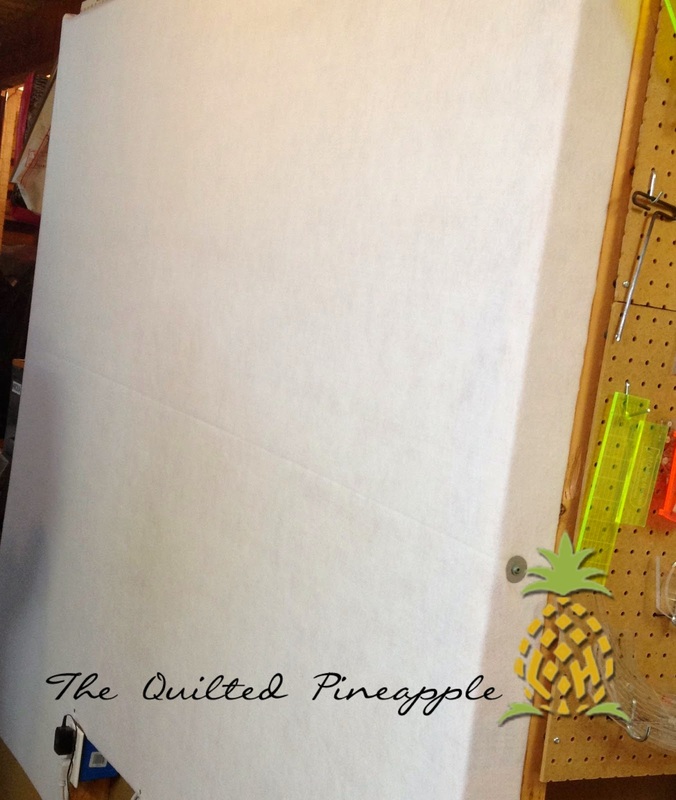 :-) Between me and the pets, I was tracking pieces all over the house because I just didn't have time to work on it. Soooooo, I balled it all up and put it away until I could deal with it. Ahhhh, so nice to have a proper design wall. It is just felt purchased from Jo-Ann's. 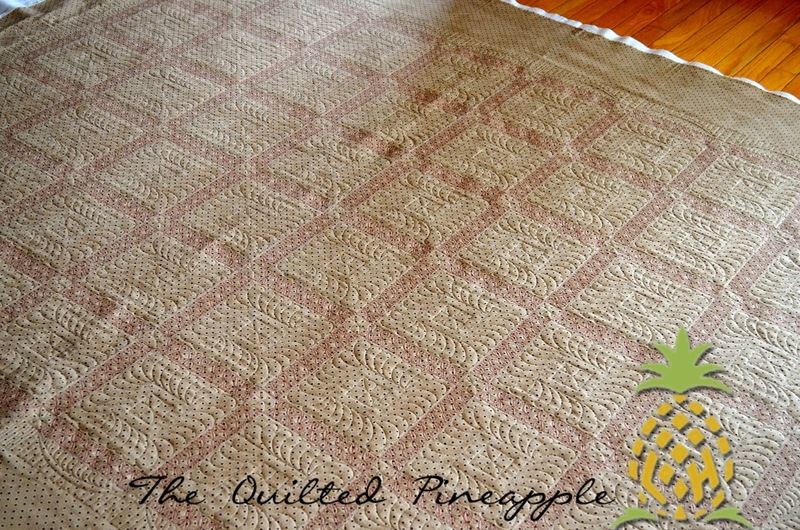 Super easy to keep clean too. The threads come right off with a lint roller. 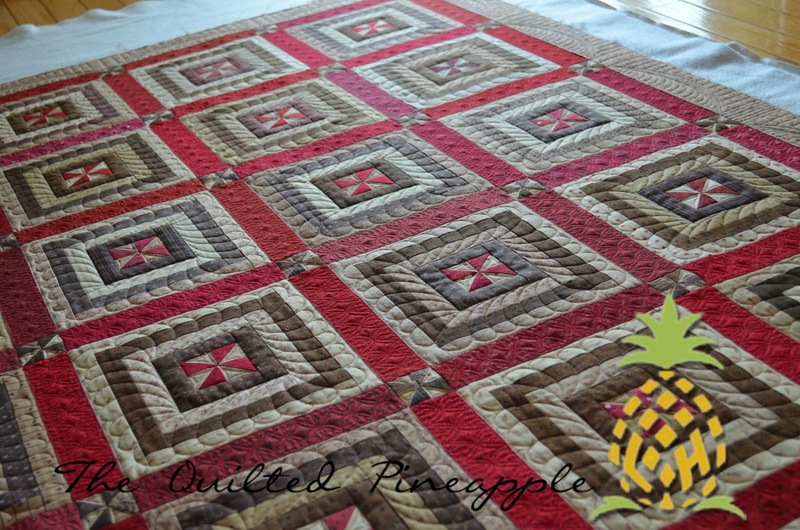 I loved every second of seeing this quilt come together. It is one of my all time favorites! I know, I say that every time. 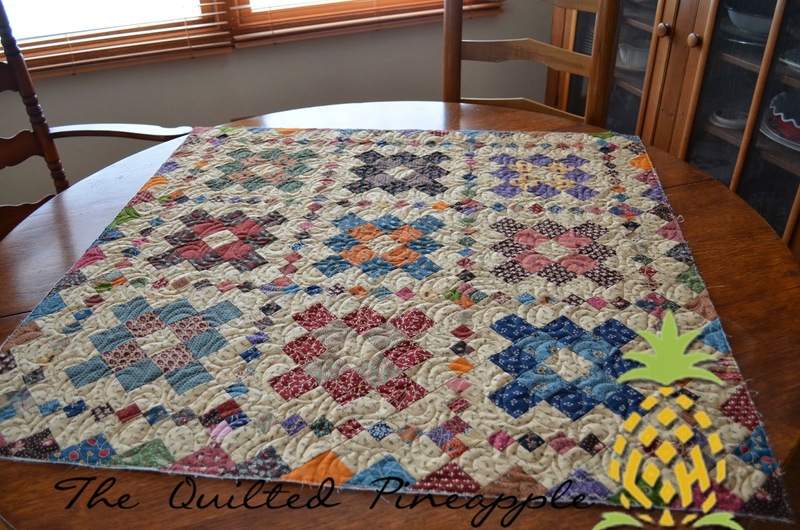 :-) Now, I heard that this was cleverly named Clover after the Clover Seam Ripper, which with all the pieces, you may need to use it before you get this quilt pieced. 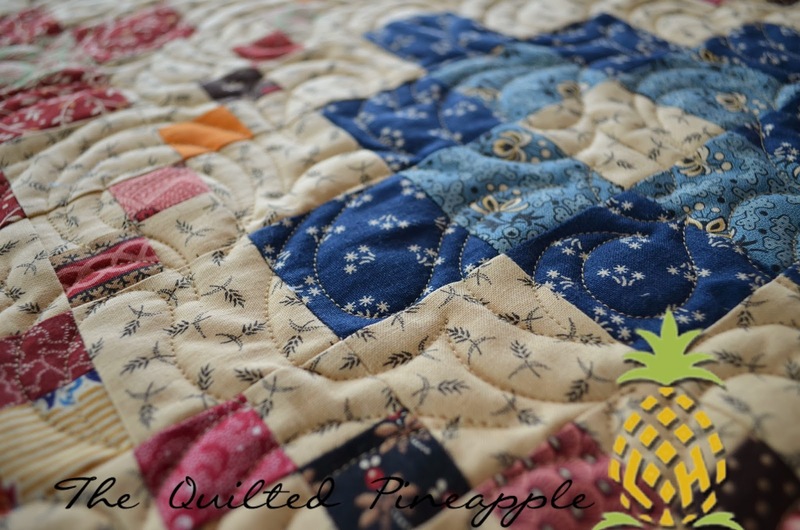 I remember thinking to myself that I had outwitted the quilt somehow because I hadn't needed to use my seam ripper at all!! Ha!!! 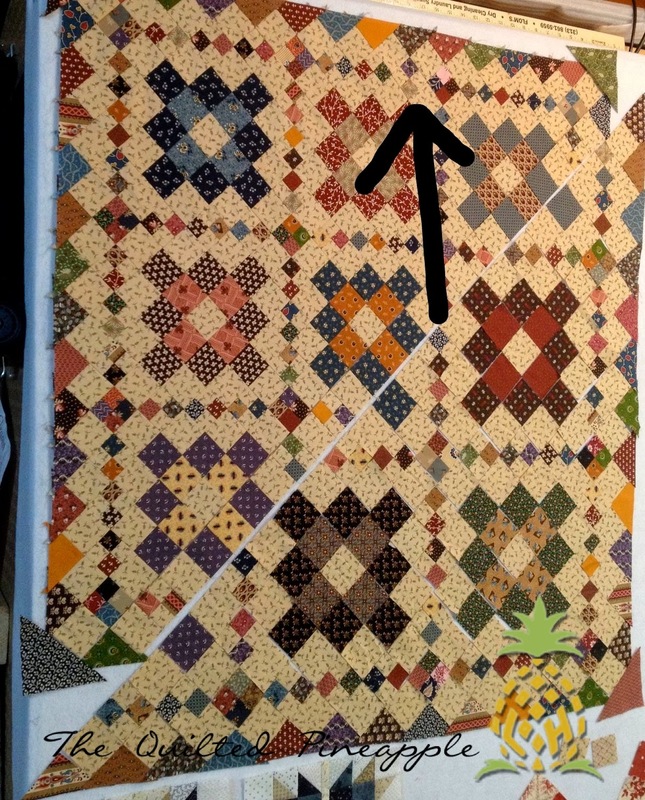 Until I noticed a piece going the wrong way in the above photo. If you cannot see it, I will subtly point it out. Grrrr. 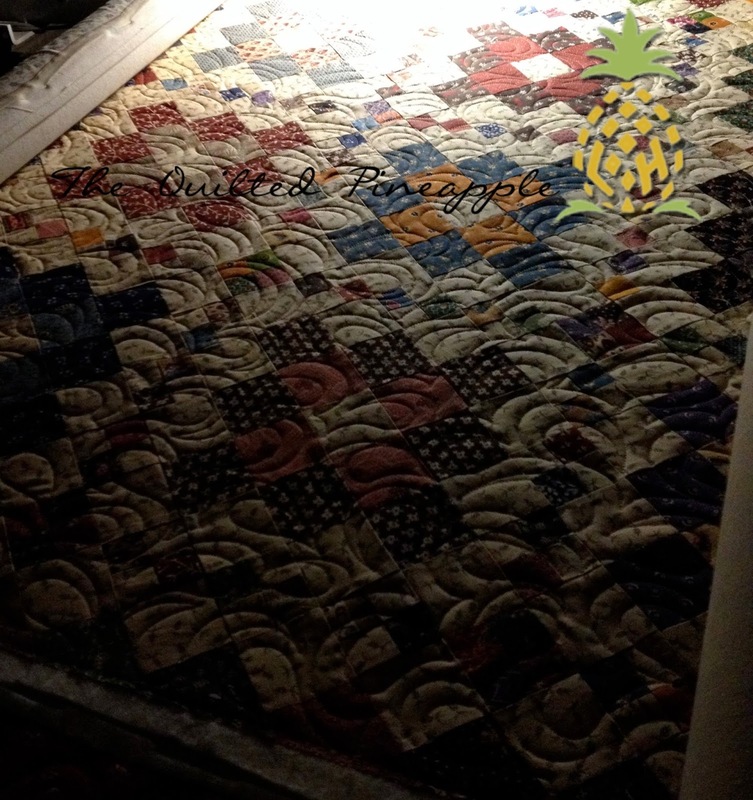 As I was quilting pic. 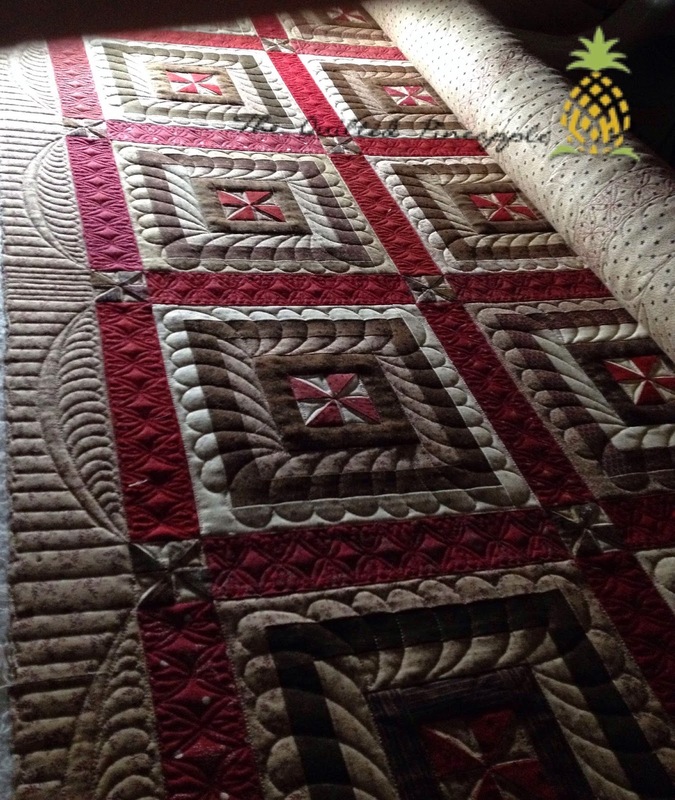 "The quilts and your quilting are very beautiful! 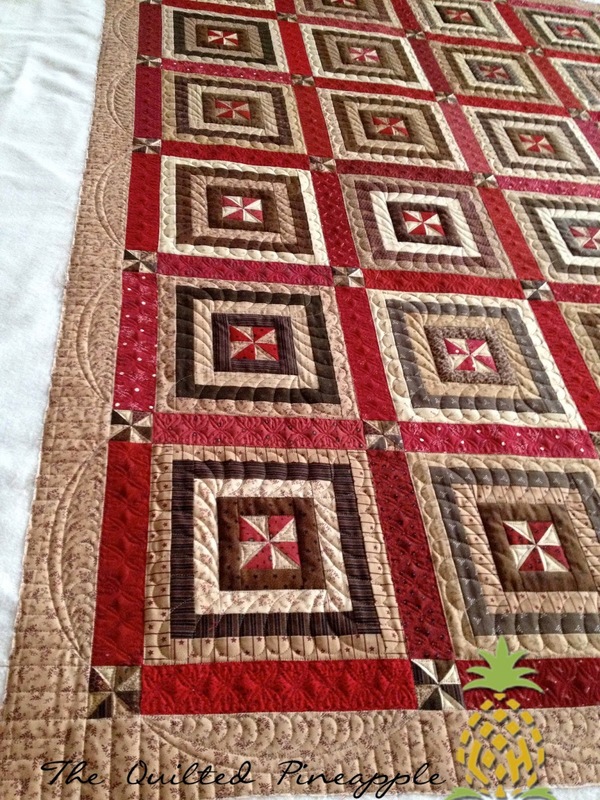 One of my goals this year is to make a corduroy quilt. I would love to win a copy of her book. Thanks for the chance to win." Lisa, please email me your email, so I can forward that on. You are a no-reply blogger. 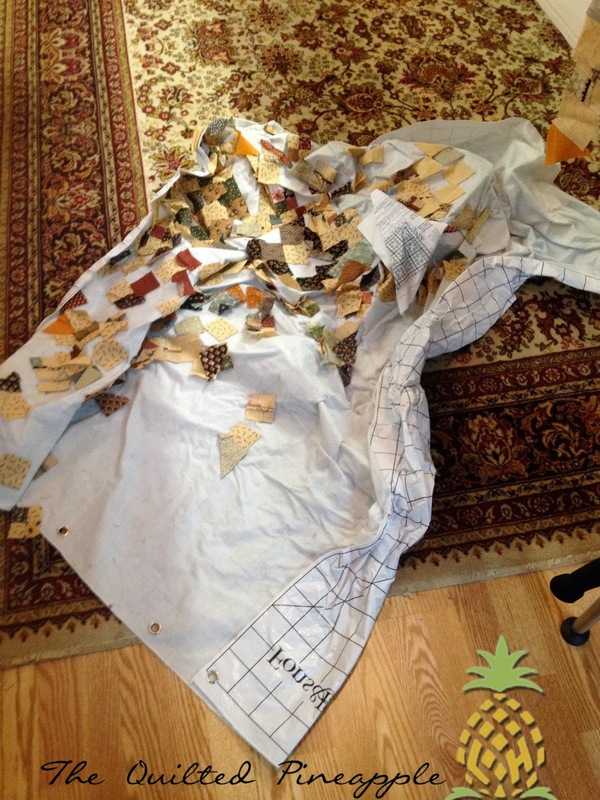 Make sure you stop by Sinta and Sherri's blogs later for the Schnibbles parade!